Last weekend I got to spend Saturday with over 300 people enjoying Scratch Day at MIT. 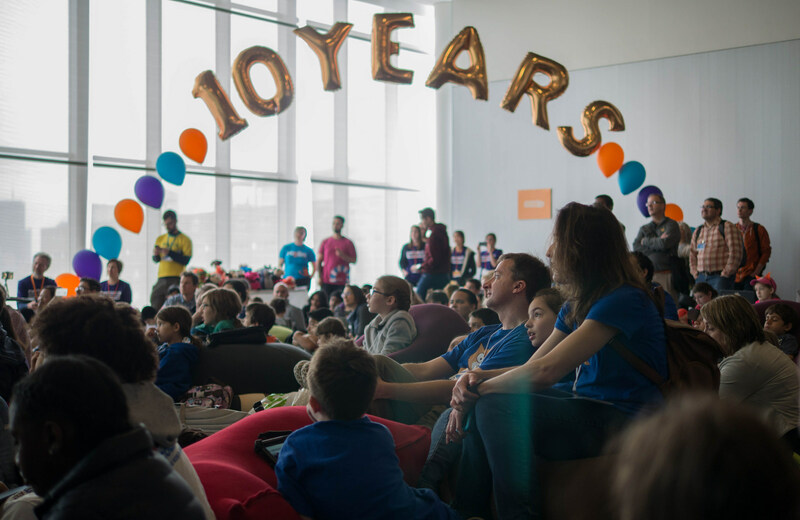 We have this event every year, but this year we are celebrating the 10th anniversary of the Scratch launch. With this anniversary Scratch has been getting quite a bit of press. Steven Levy wrote a nice article on Scratch’s influence over the last 10 years. It’s great to work on something that has touched so many people.